We can help you find a Mariachi for any special celebration. … Or any other special event! 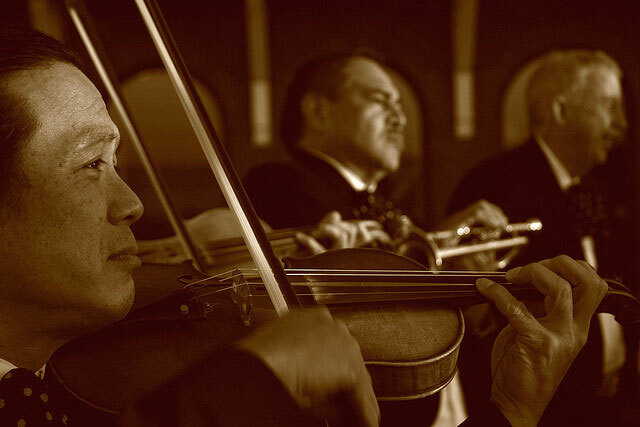 …know that our Mariachis are ready to entertain and delight your family and friends! If you live in Los Angeles, San Fernando Valley or Orange County, we got you covered — our Mariachis will travel to any city in your area! And if you live outside of these areas? No problem. Just let us know and we can make special arrangements for you. Hiring a Mariachi should be fun… and exciting! Why? — Because you will be hiring the group that will offer fun entertainment. And will have your guests DANCING, SINGING and SCREAMING! Check out our featured Mariachi band! Or if you prefer, take 2 minutes to fill out this online form (leave your name, email and a brief message with a phone number where we can reach you) — and we’ll call you back in less than 30 minutes! Once we discuss all the details of your event, your budget, etc… know that we’ll try our hardest to give you the BEST DEAL possible. So You Can Be 100% SATISFIED! We recommend that you read the article How to Hire a Mariachi Band. This short guide will give you with some helpful tips to keep in mind… before you choose a Mariachi band. To let us know what you’re looking for and we will do our best to get the right Mariachi band for you. Ohh, and while we’re on this subject… Don’t forget about the Tequila! You MUST have Tequila — Right? So stock up on the Tequila and call now 818-406-3828 to book a Mariachi for your special event today! And remember, our Mariachis cover all of Los Angeles County, San Fernando Valley and Orange County.